Did Nissan Really Just Develop a Self-Cleaning Car? In what might possibly be the first relevant New Girl reference on a car blog, I’d like to just put it out there that I am every bit as cheap as Nick Miller and thus rarely* spend the money to take my car to a car wash. I might add that, also like Nick Miller, I am incredibly lazy and have no intention of washing my car myself. 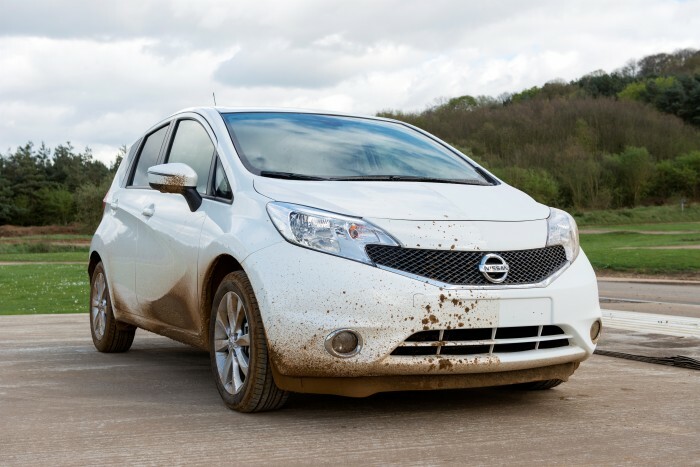 Reportedly, Nissan Europe has launched tests on this innovative paint technology that miraculously repels mud, water, and dirt. 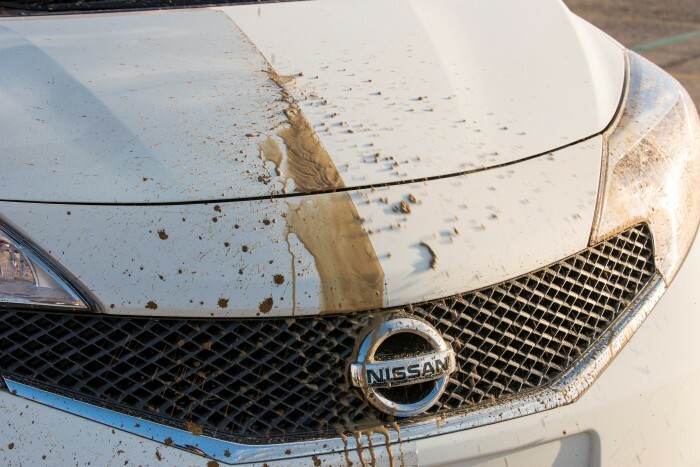 The paint, described as super-hydrophobic and oleophobic, was specially engineered and will be tested on the Note over the next few months at Nissan Technical Centre Europe. 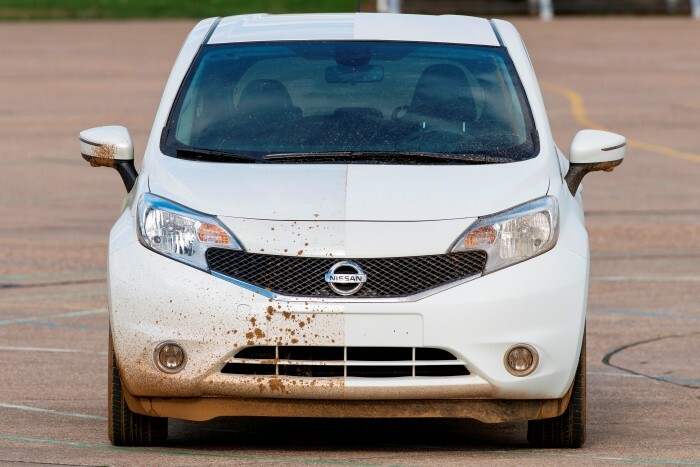 This marks the first time that an automaker has used the technology, called Ultra-Ever Dry®, to attempt to produce a self-cleaning car. One side of the Note was treated and the other was not. You can really see the difference the paint makes. Somehow (again, this is magic), Nissan has created a protective layer of air between the paint and the outside world that stops most water/road spray from ever leaving their evil marks on the Note. At this point in the game, however, Nissan has made no plans for the technology to become standard, but there is a place for it in the aftermarket realm in the future. Now if Nissan could just get me a self-cleaning house to go along with my self-cleaning car, and maybe a self-cooking oven, I’d be golden.